In this era of desktop computing where most of the projects are focusing on desktop accessibility, and designing shells and tools to launch applications more efficiently and easily, like Unity, Gnome Shell, Synapse, etc., Simon Schneegans, a German computer science student, has taken the plunge to re-define the usage and importance of a mouse/trackpad. 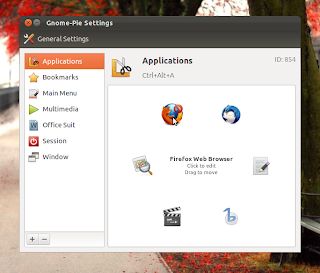 Several pies, each pie consisting of multiple slices, make up the 'Gnome-Pie', a circular application launcher for Linux. Different key combinations are assigned to different pies, not to mention that the pies and combinations can be tweaked, added, and hitting a certain combination launches a certain pie. Instead of remembering the name of a certain application as is the case if you want to launch it from the keyboard, you just need to remember the direction of that application in the pie and just click the left mouse button after activating the pie. You don't need to click exactly at the icon in the pie, simply click in its direction anywhere on the screen and the application would start. Gnome-Pie is an under development project and not everything might work as expected; however, it is working smoothly for me. 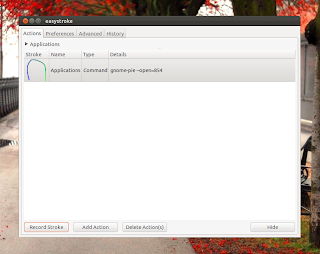 The bottom line, installing Gnome-Pie shouldn't break your system, so feel free installing and playing with it. 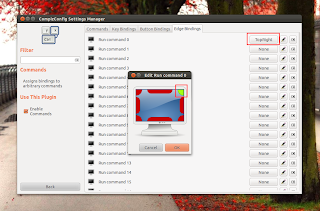 It is available for both GTK2 and GTK3. Once installed, Unity users can search the Dash for 'Gnome-Pie' and start it, Gnome Classic users can start it from the 'Application > Accessories' menu. 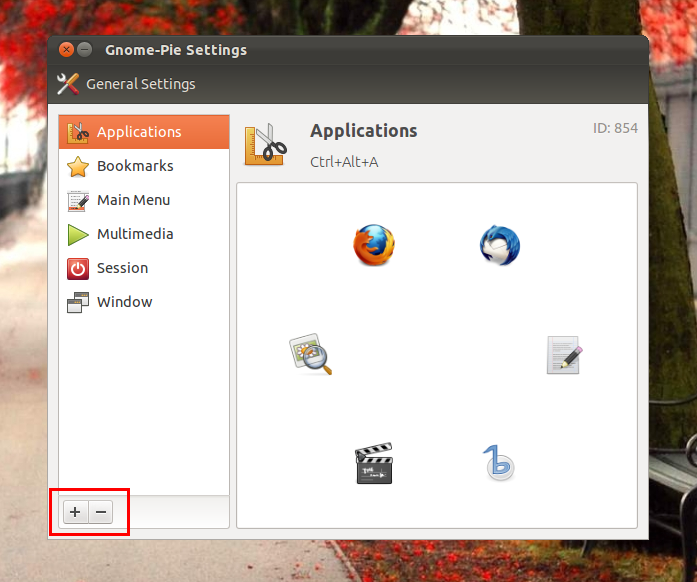 As soon as you start Gnome-Pie, the default shortcut keys start working, for instance, pressing Ctrl + Alt + A opens up the Applications Pie. You can add as much new pies as you like. The only limit would be probably how much shortcut keys you can bind to those pies, or simply how many of them you can actually remember to access them. If you can't remember the shortcuts, having pies won't benefit you obviously. 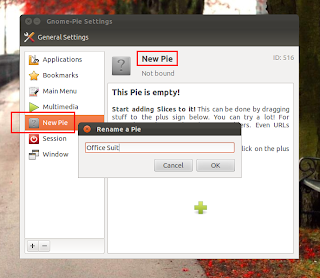 For adding new pies, open up Gnome-Pie, near the lower left corner, you would see a 'plus' and a 'minus' button. The 'minus' button is obviously meant for removing a selected existing pie and the 'plus' button for adding new pies. So, once the 'plus' button is clicked, a new pie named 'New Pie' would appear in the left column. You can rename that pie, change its icon and bind a shortcut key by clicking the respective portions in the right side of Gnome-Pie settings window as demonstrated in the screenshots below. Hint: While dragging & dropping applications to my new pie in Ubuntu 11.10, I witnessed Gnome-Pie crashing on more than 2 occasions. Probably it didn't like the speed of my drag & drop. Give it about 2-3 secs between dropping applications, otherwise it might just crash on you. Once finished with the new pie settings stuff, press your newly assigned keyboard shortcut and see the results. Same way, you can edit the existing default pies, delete the unneeded launchers and add new ones by dragging & dropping them in place. 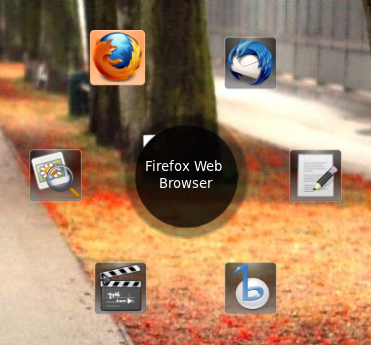 Hovering the mouse over an existing launcher in a pie would give you the option to either delete or move that launcher to a new place. 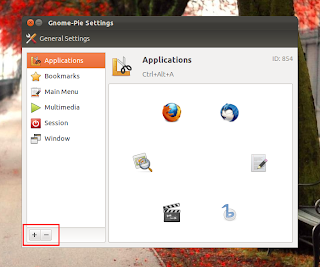 Almost everyone using Gnome-Pie would want it to start automatically on login, you can set that up from its 'General Settings' dialog. Some people have already created their custom themes and shared them via comments on the page linked above. Don't want to use the Keyboard for invoking the Pies? If you are a strong anti-power-user (my own term :D) and want to avoid the keyboard as much as possible, there are some other options to invoke the pies, by either binding the pies to screen edges in Compiz or by invoking them via gestures. 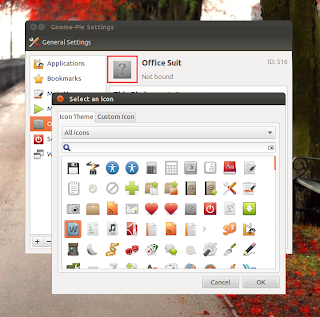 You can also create launchers for the pies on your desktop, but I wouldn't do that because if I need to click a certain icon for invoking the pie and then open up my needed application, it would be better for me to place the launcher of that application on the desktop in the first place, and thus I wouldn't need Gnome-Pie anymore. 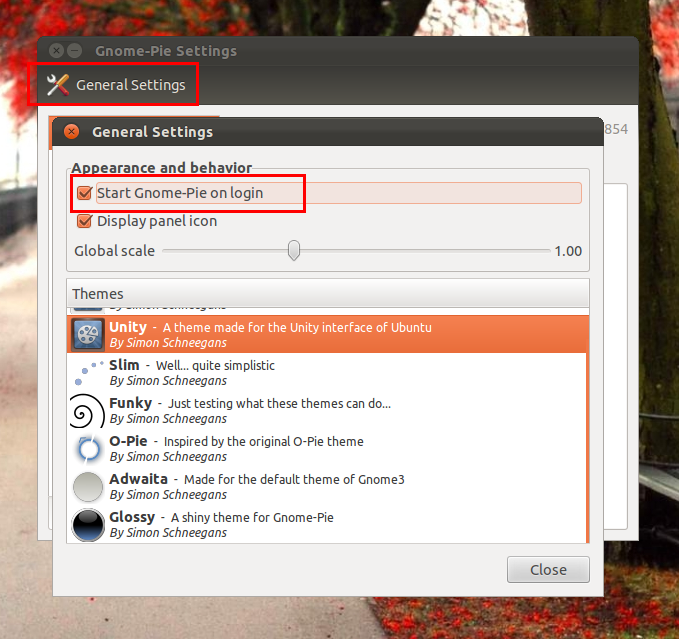 With Compiz Edges, you can simply push your mouse pointer against a certain edge on your screen and invoke any of the pies (or any other command, for that matter). For setting that up, you need 'CompizConfig Settings Manager' (CCSM), which can be easily installed via the official repositories. 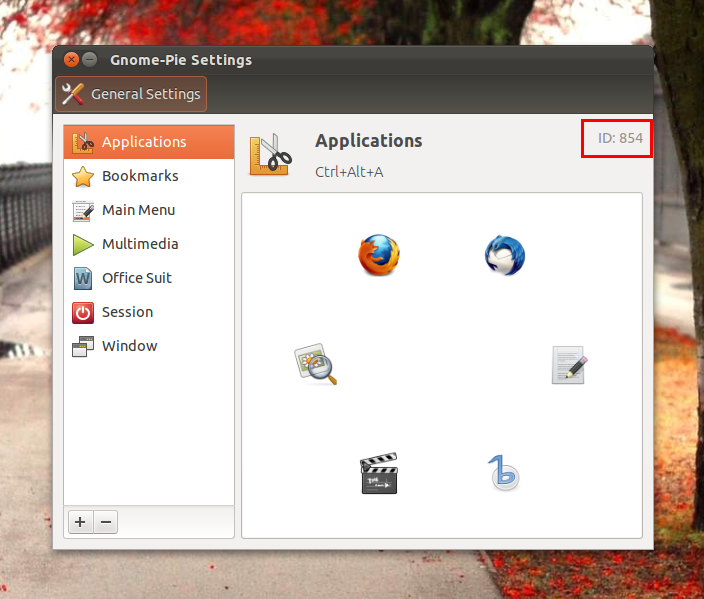 Once installed, either search the Dash for 'CCSM' in Unity, or start it from the 'System > Preferences' menu in Gnome 2 Classic, respectively 'Applications > Other' in Gnome 3 Classic. 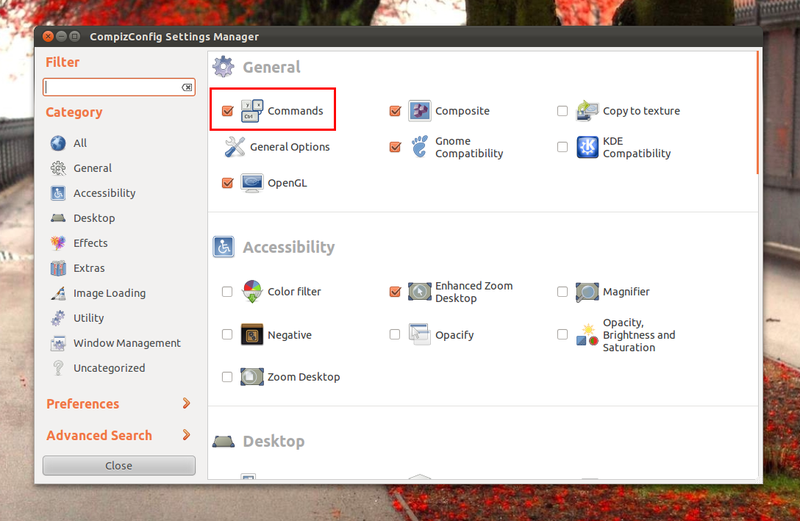 Near the top of the CCSM window, under 'General', enable the 'Commands' plugin by ticking its checkbox. Now click at 'Commands' to open its settings. Where '854' is the ID of your desired pie. 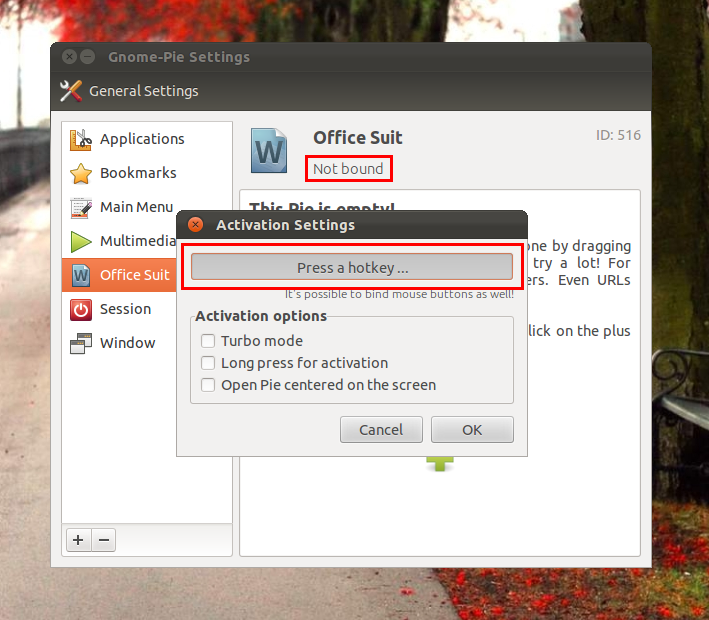 You can find this ID by clicking the desired pie in Gnome-Pie. 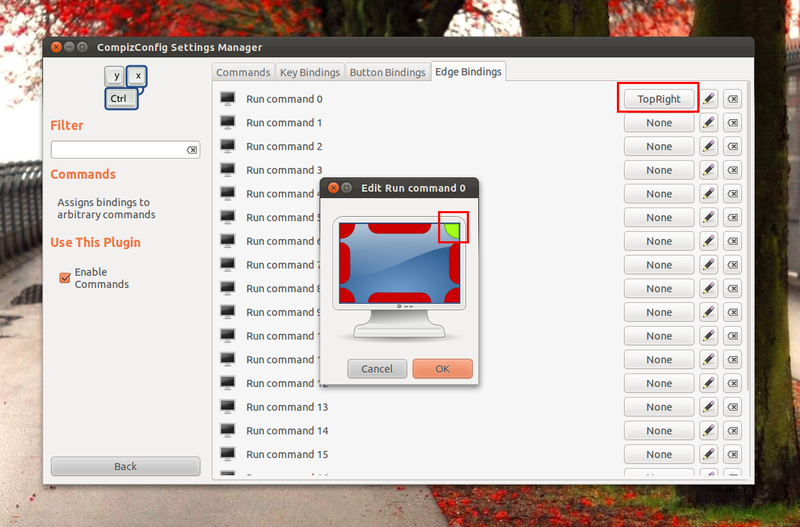 Once you've entered the commands, go to the 'Edge Bindings' tab and against each command, click the 'None' button and assign a new edge as demonstrated in the screenshot below. Repeat the same process for as many pies as you want or as many edges as you've got free. Once finished, move your pointer to an assigned screen edge and the respective pie would be invoked. Notice that you can do the same with Edge + Click also, therefore set up the bindings under the 'Button Bindings' tab. Once installed, search the Dash for 'Easystroke' and start it. Click the 'Add Action' button at the bottom of the Easystroke window and add a new entry as shown in the screenshot below. Once you've added the new entry, click the 'Record Stroke' button. The default Easystroke button is Mouse button 3 (middle-click), which can be easily changed under Easystroke's 'Preferences' tab to any other mouse button or key. So, hold down the middle-click and draw anything you want to assign for invoking the desired pie. 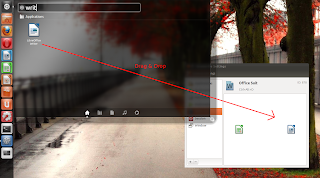 Important: Don't assign the right or left mouse buttons to Easystroke or it might render your desktop unusable. If you find yourself in such a situation, press Ctrl + Alt + T to bring up a Terminal and kill Easystoke with the command 'killall easystroke'. 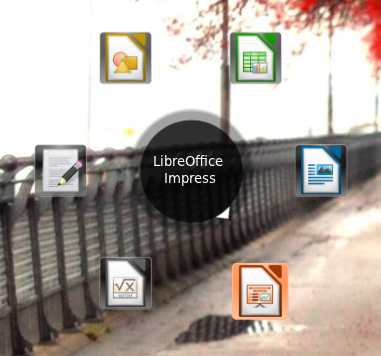 Then, in your home directory, press Ctrl + H to see the hidden files and directories and delete the '.easystroke' directory. This would reset all your Easystroke configuration. Once finished with Easystroke, you can have fun with drawing gestures for invoking the pies.